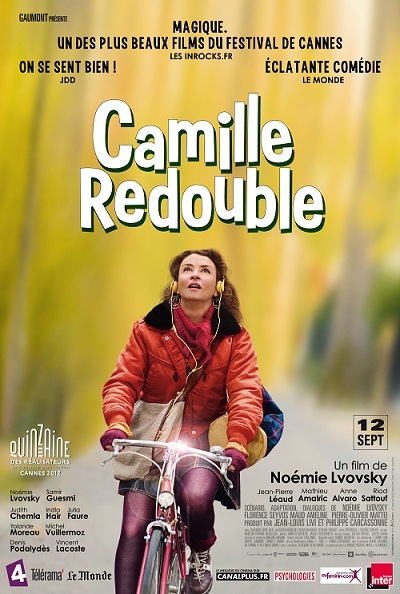 The San Francisco Film Society (SFFS) reaches the mid-point of its 2012 Fall Season Wednesday night with their fifth annual French Cinema Now (FCN) series. The line-up for this year's seven day, 10-film celebration could be summarized thusly: three crowd-pleasers, five feature directorial debuts and two new works from a pair of arthouse notables. Here's a closer look at what's in store at Landmark's Embarcadero Center Cinema from October 24 to 30. Last year's FCN opened with the delightful Copacabana, starring Isabelle Huppert as a middle-aged hippie-chick getting serious about life. She's in comic mode again with My Worst Nightmare, a new film by Anne Fontaine (Coco Before Chanel), this time playing a snooty art gallery owner who gets turned around by a randy handyman. While I'd willingly watch Huppert recite the proverbial phone directory, reviews for this outing give pause. From Robert Koehler's dismissive, two-paragraph Variety review: "Trucking in the standard situation of an uptight, bourgeois woman letting go around a lusty, clownish working-class man, pic is dated, clunky, indifferently staged and markedly unfunny. It's not all that commercial, either, though it tries so hard to be." Ouch. My Worst Nightmare began its US theatrical run in NYC this past weekend – Bay area audiences must wait until Xmas – and the NY Times' Stephen Holden joined the pile-on, adding that the film's "one joke…yields steadily diminishing returns." Only Lisa Nesselson at Screen Daily offers encouragement: "Huppert, of course, can do control freak narcissism and insensitive bitchery in her sleep and (Benoît) Poelvoorde can personify boorish bonhomie with his eyes closed. But both actors find new riches in stock characters, making them more like real people and less like the caricatures they arguably are." I refuse to believe this won't be some kind of fun. As I've already mentioned, an unprecedented 50 percent of this year's FCN offerings come from debut feature directors, which would be of concern if it weren't for the festival's track record on spotlighting terrific new talent. 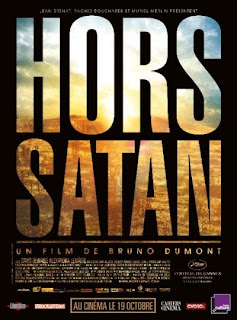 (Last year's hilarious Bachelor Days are Over, for example, turned out to be one of my top films of 2011). 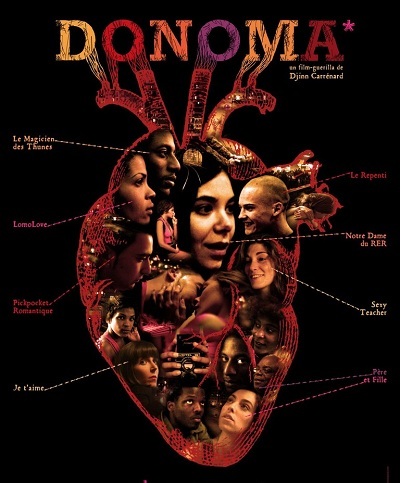 Sharing opening night honors with Camille Rewinds this year is Djinn Carrénard's Donoma, which won the prestigious Louis Delluc Prize for a first film and was purportedly made on a budget of 150 euros. 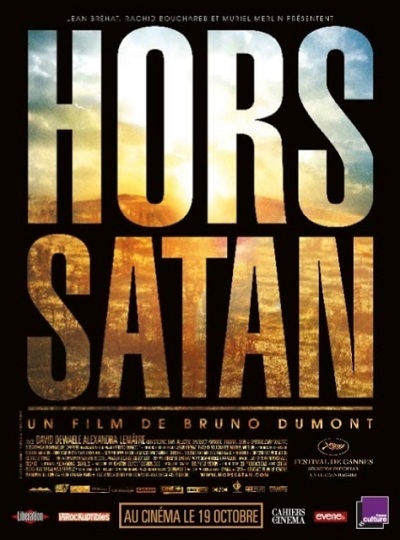 The Hollywood Reporter's Jordan Mintzer describes the film as lying "somewhere between mumblecore, Cassavettes and Abdellatif Kechiche (Secret of the Grain)" as it "follows the amorous entanglements of various young Parisians – many of non-French origin – as they cope with issues of class, religion and identity in the less-traveled byways of the City of Light." 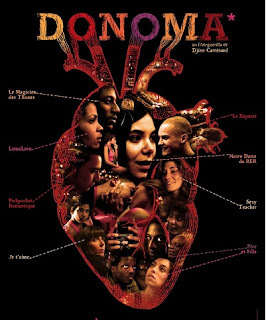 The semi-improvised, 136-minute film is said to be full of long takes, tight close-ups and dialogue so infused with slang it was released in French cinemas with subtitles. So even if you parler français couramment, expect to do a bit of reading. Director Guillaume Brac still hasn't made his narrative feature debut because his A World Without Women is only 54-minutes long, and is therefore technically a short. 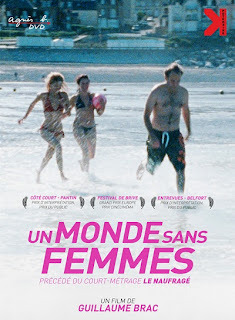 Set in a seaside resort town in Northern France, the film follows the exploits of a 30-something schlub named Sylvain as he and his best friend flirt with a vacationing mother and daughter (the latter played by Constance Rousseau, who made her memorable debut in Mia Hansen-Løve's All is Forgiven). The only English-language write-up I could find for the movie was a capsule description for Montreal's Festival du Nouveau Cinéma, which called it "a comedy of gallant seduction" with "magnificent acting" and "a freshness and urgency that calls to mind the films of Jacques Rozier." As someone who fondly recalls the Rozier retrospective that graced 2001's SFIFF, I'm sold right there. 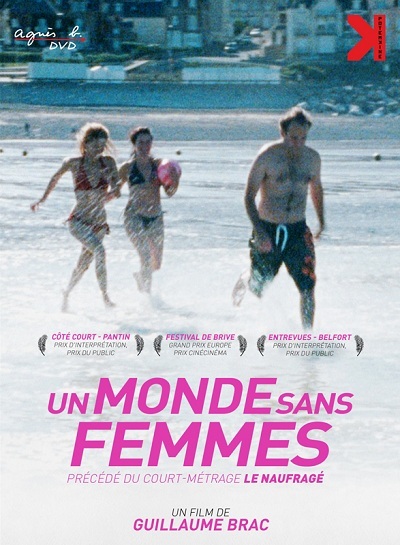 When A World Without Women was released in French cinemas, it was double-billed with Brac's previous 24-minute short, Stranded, which also features the character of Sylvain (again played by actor Vincent Macaigne). That's how it will be exhibited at FCN as well. What would a French film festival be without a heartbreaking portrait of a poor soul struggling on the margins of society? (…he asks without condescension or derision). Louise Wimmer reps the narrative feature debut of documentary filmmaker Cyril Mennegun, heretofore known as the director of 2005's Tahar, the doc which profiled a then-penniless student and future star of A Prohpet, actor Tahar Rahim. 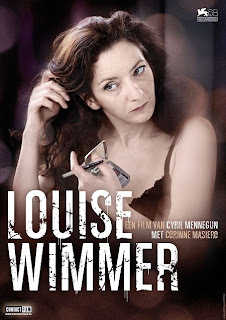 In Louise Wimmer, TV actress Corrine Masiero gives a critically acclaimed performance as a proud woman who lives in her car, works at menial jobs and battles to secure herself an apartment in public housing. The film, which premiered in the Critics Week sidebar at Venice last year, is described in most reviews as being "Dardenne-esqe," which I'll take as a good sign. I'm particularly intrigued to hear that the music soundtrack largely consists of Nina Simone's "Sinnerman," which plays from a cassette that is permanently jammed in Louise's car stereo. The two remaining FCN entries from tyro helmers – pardon my Variety-ese – are Elie Wajeman's Aliyah and François Pirot's Mobile Home. 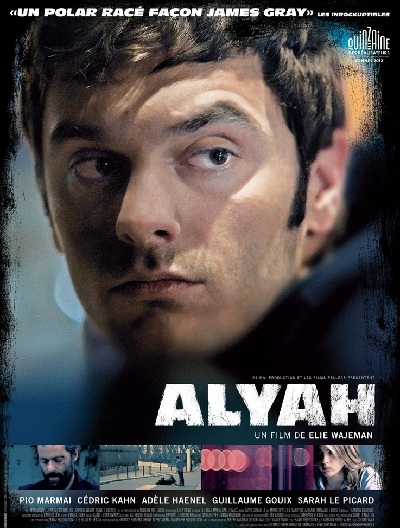 The former earned glowing reviews when it premiered in Cannes' Director's Fortnight, and is the story of a Jewish Parisian drug dealer who contemplates a move to Israel as a means to escape his troubled life. The lead role of Alex is played by Pio Marmaï, who impressed as the criminally seductive lothario in Living on Love Alone (SFIFF 2011). He's supported by director Cédric Kahn (Red Lights), making his second-ever on-screen appearance as Alex's mooch of an older brother. Critics appeared less enthusiastic about Pirot's gently comic Mobile Home, in which two immature best friends hit the road in rural Belgium. Reviews run the gamut from "whisper thin" to "pleasantly respectable" to "moderately watchable," although all praise the genial lead performances. Pirot, who is scheduled to attend FCN, is known for the scripts he co-wrote for a pair of Joachim Lafosse-directed pervy psycho-dramas (Private Property and Private Lessons). Personally, I wish the festival was bringing us Lafosse's Our Children¸ a prolicide-themed drama starring Émilie Dequenne (Rosetta) and Tahar Rahim, which received unanimous rave reviews at Cannes and is now Belgium's Oscar® submission. Alas, time marches on and so-called "progress" prevails. 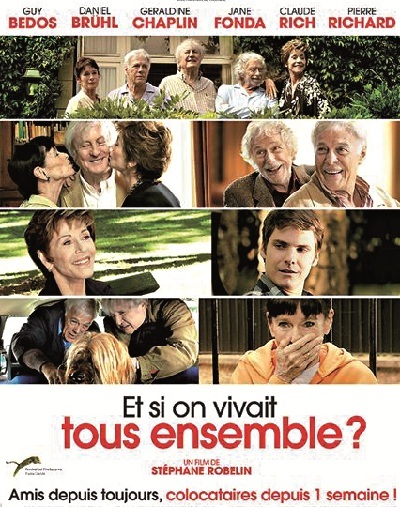 Even Agnés Godard, whom many consider Europe's greatest living cinematographer, has done the digital deed with FCN's closing night film, Ursula Meier's Sister. The results are pretty damn impressive, or at least they were at a press screening I caught at San Francisco's Variety Screening Room. (Godard talks about the experience of shooting digital in a recent NY Times profile). Sister is Meier's awaited follow-up to Home, a delightfully weird fable about a family living spitting distance away from a super-highway. While that film's final act disappointingly descended into aimless absurdist melodrama, her latest is rock solid and reality grounded. Kacey Mottet Klein, who played the rambunctious kid in Home, is now a cagey 12-year-old thief named Simon who steals and re-sells expensive ski equipment from a luxurious mountain resort. He does it to support his aimless and slighter trashy older sister, played by Léa Seydoux (last seen here as Marie Antoinette's reader in Farewell, My Queen). In the many ski gondola trips Simon takes to and from "work" each day, Meier and Godard make magnificent metaphorical use of the physical space separating the high altitude haves of the ski resort and the have-nots living in the dingy town below. X-Filers take note – Gillian Anderson has a significant supporting role as a foreign tourist. Meier is expected to attend FCN's closing night and anyone who experienced her generous, forthcoming Q&A for Home at the 2009 SFIFF knows this isn't to be missed. Sister is also scheduled to open at the Sundance Kabuki on November 9.